I am super excited to welcome Elizabeth Chadwick back to Historical Tapestry. 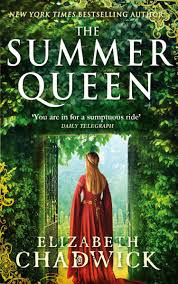 She has long been one of our favourite authors and I, for one, am very excited that it is finally release day for The Summer Queen! If you can handle any more excitement, we are also giving away two copies of The Summer Queen, and the giveaway is open to everyone! Details of the giveaway are included below. A couple of years ago, I’d finished writing LADY OF THE ENGLISH for my UK publisher Sphere and that was the end of my contracted work for them. I had a dynamic new editor and the way was open for discussion on what I was going to tackle next. I had been considering writing about Eleanor of Aquitaine for some time. She kept crossing my path and I found myself becoming more and more intrigued by her. I had featured her in passing in a few of my novels, particularly the Marshal ones. The questions began to build up, as they always do when I become interested in a character from history. I wanted to remove the centuries’ deep layers of gilding, dust and detritus that had settled over her life story. I was curious to discover what she was really like, and perhaps in the process shed fresh light on the known (and often assumed history). I was well aware that while I had been pondering, other authors had come along with their particular takes on Eleanor, but that didn’t bother me because I knew that our works were individual to us, and there was still plenty left to be said that hadn’t been. It probably also helped to an extent, that I had never seen Katherine Hepburn’s iconical portrait of Eleanor of Aquitaine in The Lion in Winter, so there was no chance of La Hepburn influencing the way I imagined my Eleanor. My editor was very keen for me to write about Eleanor and we soon agreed a three book contract to cover the story of her life in fiction. We also agreed that she was to be called Alienor, which was the way her name was written in her own lifetime, and a nod of respect to her memory. I already had an extensive library of books dealing with the 12th century, but I set out to purchase as many works about Eleanor, her life and times as I could. These included sources both primary and secondary and the inevitable slew of biographies, some of which I already had, some of which were new to my library. As I began reading through the biographies, I began to realise how contradictory, and unsubstantiated, many views of Eleanor were. The authors often clothed her in their own opinions without any solid fact to back up their assumptions. Some seemed to be writing novels of their own, ascribing to Eleanor the emotions they felt she ought to have had, rather than sticking to what was known, and some, it has to be said, had a very shaky grasp on 12th century history, both the political and the social. Her birth year was often reported as being in 1122, but most historians now believe that she was born in 1124. This was an important detail for me because it meant that Eleanor would have been married at the age of 13, not 15, which puts a very different slant on much of the history that comes afterwards. It might only be a difference of two years, but a significant one at that stage in a person’s life. There is no known description of Eleanor in the conventional historical record, but nevertheless her biographers have a good go at describing her. ‘Tall, with a superb figure that she kept into old age, lustrous eyes and fine features…it is likely that her hair was yellow and her eyes were blue.’ That’s Desmond Seward. Meanwhile, others have cited a crowned auburn-haired figure on a mural at Chinon, as evidence for Eleanor being a red-head – and a green-eyed red-head at that. However, that figure is far more like to be her eldest surviving son Henry the Young King. One prominent biographer has Eleanor buying in copious quantities of wine for her sister Petronella, but when primary sources are checked, Petronella turns out to have died several years before these pipe rolls were written. The courts of love where Eleanor and her eldest daughter Marie are supposed to have presided over a court of ladies sitting in judgement of matters of the heart, has been proven never to have existed, although one biography dedicates numerous pages to the premise. During my research, I constantly heard statements that she was a ‘feminist’ and ‘a woman ahead of her time’. I think people would like these to be true, but they aren’t. She was a strong and charismatic woman, I agree, but she was of her time and struggling to hold her own in a society where women’s power was being constricted. But she wasn’t a feminist and even if she speaks across the centuries, her voice is of the 12th century world in which she dwelt. Regarding my own connection with Eleanor, I have tried to do her justice and tell a story that has integrity and that shines a different light through the facets of her life, while still retaining a final glimmering layer of mystery that preserves her enigma and still begs the question ‘Who was and is Eleanor of Aquitaine?’ Make up your own mind. - to participate, leave a comment sharing what it is that you find most fascinating about Eleanor of Aquitaine! Don't forget to include your email address in your comment. Eleanor of Aquitaine is a favourite of mine too! In a time where women were almost politically sidelined by the menfolk, Eleanor was certainly a woman before her time. She was Duchess of Aquitaine, and held the loyalty of most of the fracticious landowners (most of them......most of the time), she rubbed the French the wrong way with her desire to be part of the political action while married to Louis, and the plots and plans she involved herself with around Henry II and their sons are legendary. A woman who refused to be sidelined in any way! In the 12th century, Eleanor did what women of the 20th and 21st century have struggled to do. She held and used power while also being wife and mother and retaining her femininity. On top of that, she did it at a time when "femininity" had more stringent requirements and limitations than today. Although she wasn't successful all the time and with everyone, she was successful enough that she has no match. Influencing events in two powerful countries, ruling her own immense duchy, mothering 2 (some would say 3) kings. Even Gloriana couldn't say as much. Cannot get enough of Eleanor, she was a formidable and passionate lady, queen consort to two kings, mother to two kings (not including Henry the Young King!! ), one of the most wealthy and powerful women of her time. Who can not love a woman who went on crusade and was regent when Richard the Lionheart went on his crusade? To me the most fascinating aspect of Eleanor's life is the stormy relationship with Henry II. So anxious to read this novel. 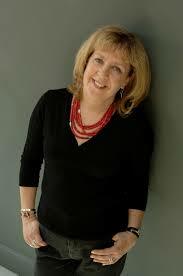 Elizabeth Chadwick is a favorite author. Eleanor is my favorite of all the queens. She was thrown into her situation at a young age by the death of her father....but she lived up to it. While I didn't always fully agree with some of the decisions she made...she's almost everything I wish I was. Eleanor is my absolute favorite historical figure. She was queen of two countries and was the mother of two kings. She basically ruled England for her sons. Plus she lived to be 80+ years old very rare for that time period. She was such a strong woman for that time. I became familiar with Eleanor after watching The Lion in Winter, one of my favorite movies. I starting reading further into her life. She was a very modern woman during a time when women were not allowed to be independent. She owned property, went to war and was a ruler. Raquel36m (at) gmail (dot) com. I have always loved Eleanor for being her own woman, owning her fiery spirit and reveling in it! She lived on her own terms and by her own rules... well before women had the pleasure. I have always thought of her as one of the bright stars of feminism. Eleanor of Aquitaine, probably my favorite historical figure! What has always been especially intriguing to me is all the different phases of her long, eventful life. She outlived all but two of her children and was in a position of great power for just about her entire life: Duchess of Aquitaine, Queen of France, Queen of England, and all-but-Queen under her son Richard I (of John, the less said, the better). Eleanor knew what she wanted out of life and fought till the end to get it. She loved passionately her country and her sons, well maybe not John. I wish I had her inner strength, her power over all men that came in contact with her. One amazing lady. The book sounds wonderful, and I'd love to win a copy. I love Elizabeth Chadwick so of course I am wanting this book! I have always had an interest in Eleanor of Aquitaine that primarily started because I liked saying "Aquitaine" so much! I think she is such a strong queen of the Middle Ages; she lets her presence be known in the royal court and in international relations (ie: the Crusades). Would love to win a copy of this book, thanks for the giveaway! I've only read a little bit about Eleanor of Aquitaine, so I don't really think my opinion of her has necessarily been set. I do find the fact that she was so strong and willing to fight for what she wanted fascinating. I would imagine it would be hard to not fold in and just go along with the kind of aggressive, head strong men she had to deal with. Excited to read the book! Wife to 2 kings, mother of 3 kings and 1 queen, courtly love, a crusader, a prisoner, a nun...Eleanor of Aquitane, what an incredible story! I'm so glad Elizabeth Chadwick will tell her tale. I've always thought it was pretty amazing how Eleanor of Aquitaine was married to both the King of England and of France. Much maligned! so many children and two husbands! A Fascinating Queen in a turbulent time. I would like to read Elizabeth Chadwick's take on her. Particularly since Elizabeth really does her research. I have been fascinated with Eleanor of Aquitaine since I was a teenager. I've read many different historical fiction novels about her and I love to watch movies like The Lion in Winter to see her in it. Her story of being a powerful and strong women during the Middle Ages when such women were rare intrigues me. I also loved how she was married to two different kings and was able to get out of the marriage to the king of France to marry the younger equally fascinating Henry II. Her children were also the stuff of legend and led by their mother. I'm always fascinated by how Henry II seemed to love and hate her. It makes me sad that she spent so many years locked up. I LOVE Elizabeth Chadwick and I can't wait to see her portrayel of Eleanor in her latest novel. I've been looking forward to this! laarlt78(at)hotmail(dot)com. Thanks for the great giveaway! I think that it is funny how when something in life is calling us we ignore for a little then come back to it in time. As with Eleanor of Aquitaine, seems she was calling for this book! Although Hepburn I am fan of I too never saw that movie, so that is good. I also think that it is great how some people felt that Eleanor was a feminist and she was not, I personally do not know a lot about Eleanor of Aquitaine but after reading this I am so interested. Thanks for the opportunity to win this awesome book. Alienor d'Aquitaine seems a difficult life story. First to tell of austere Louis & the Crusades, and then - for something completely different - passionate Henri, the vibrant family, and Eleanor's ultimate court that her husband pulls the tapestry out from under after he kills Becket. What parallel model comes to mind in story telling? The closest I have figured is Margaret Mitchell's account in Gone with the Wind. Scarlett is age 16 with a dream of Ashley and she comes into cold reality of the civil war. Then we get to Rhett and family. Unlike Scarlett, what I like about Alienor is she lived well beyond, "tomorrow is another day." I haven't read that much about her but from what I have read, I am very impressed with how strong she was. She was so young when she was suddenly plunged into the adult world. I have been fascinated by Eleanor of Aquitaine for many years. She had a very long and interesting life - to say the least. Married to two kings and I find it amazing that Eleanor lived such a long life after having many children, in such a tumultuous time. She was a powerful heiress in her own right, and then became the wife of an English and a French king. I would love to win a copy of this book as Elizabeth Chadwick is one of my favourite authors. Given that Sharon Penman introduced me to this feisty lady, who had a voice and power of her own, and the loyalty of most of her sons, and gained the loyalty of the last one later, I would love to win a copy of this book. International I am, so there may be more competition. I am ever grateful to Sharon for letting me know of Elizabeth as an author, and I love her writing also, the Marshal books just take me to places past with all the emotions possible. So Summer Queen, and the start of the journey to becoming the woman who travelled far for her son to marry, is appealing. I have always been fascinated by Eleanor. She was so strong and so shrewd at a time when so many women were not heard from. I would love to read this book. I find her interesting because I don't really know a lot about her and would love to remedy that. I have previously read one book on Eleanor - I found her absolutely fascinating. Eleanor was clearly a woman ahead of her time, a powerful Princess, Wife, Mother and Queen. Certainly an unforgettable historical figure. I would love to read further about her life, thank you for your review and giveaway. What I find most fascinating about Eleanor is what we thought we knew about here...it's so interesting to see how certain facts were in fact created many years later. I really like the variety of physical descriptions, and have to wonder how these were influenced by the beauty ideal of the biographer's time. Eleanor has been a favorite of mine since college...I particularly admired her skill and success in maintaining her autonomy. It is fascinating to me how her story has endured (even if the details of it have been shaped and altered to fit subsequent generational and historical perspectives). I'd love to read a new take on her life - thanks so much for the giveaway!